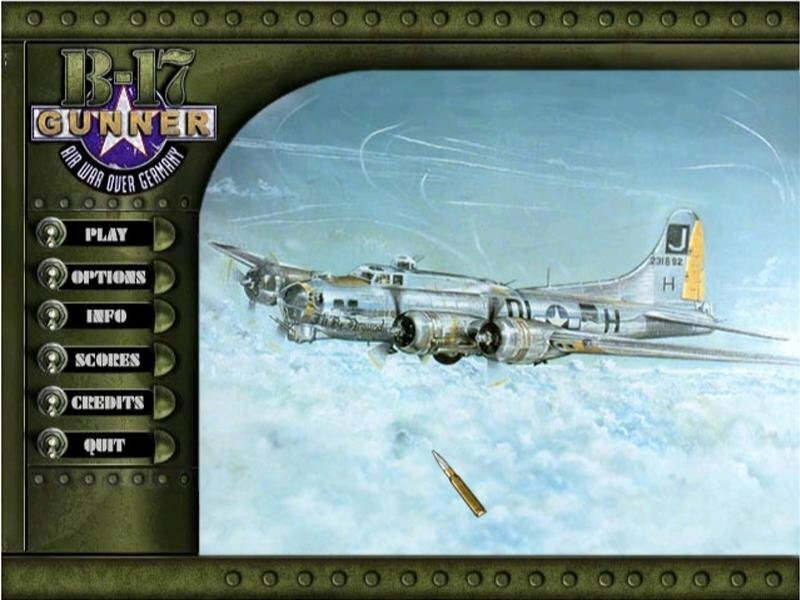 B-17 Gunner: Air War Over Germany does exactly what the title says. 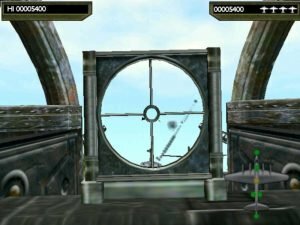 A budget release, B-17 Gunner features 25 missions where you move between nine gun positions and the bombardier’s chair on a WWII B-17 bomber over Germany. The controls are rather simple in the game. You can opt to use a joystick or keyboard but the default is using a mouse and I found it more than adequate in handling the game’s action. 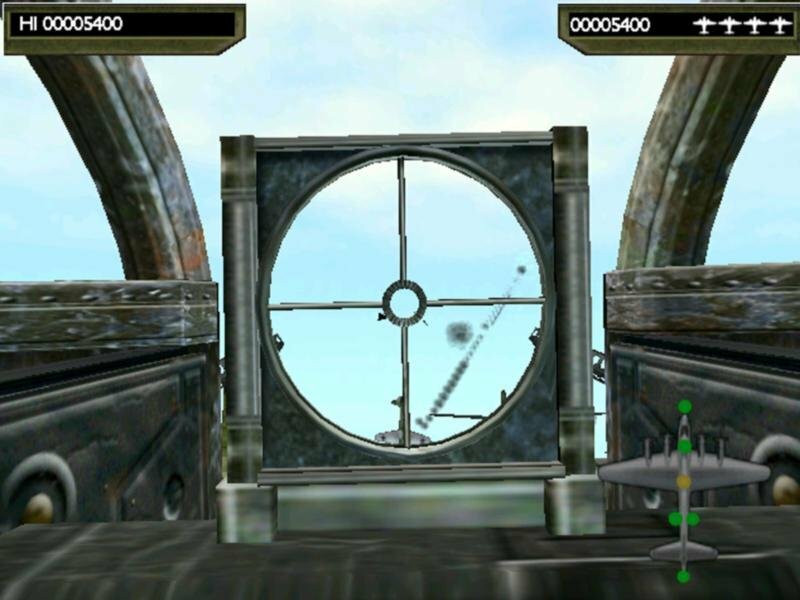 Though marketed as a simulation of sorts, the game bears more similarity to an arcade shooter. 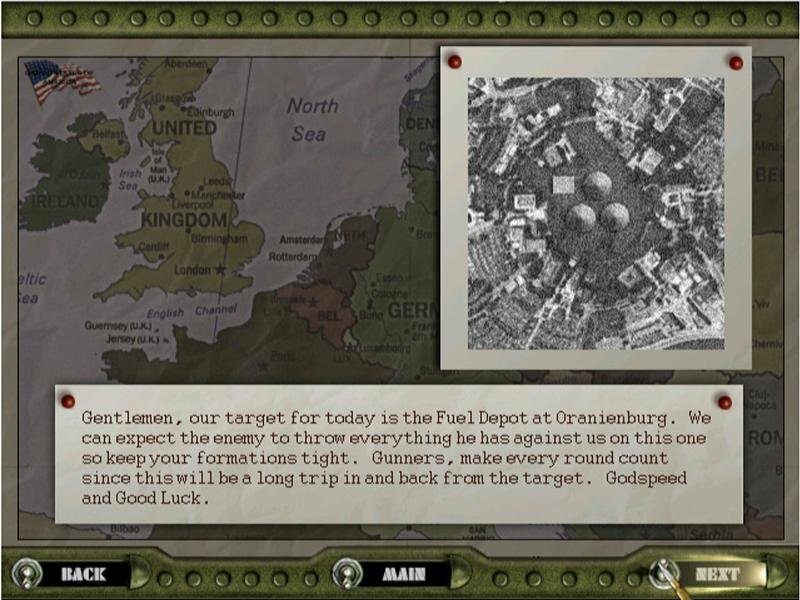 The premise of the game takes you through the European campaign where you will be able to fight against the Luftwaffe. Fighter planes will be launched to try to dissuade you from reaching your waypoints. When the pilot maneuvers somewhere close to designated area, you will be the one who will release bombs over the target. The target is given to you at the mission briefing in black and white. It is up to the player to determine where this location is. 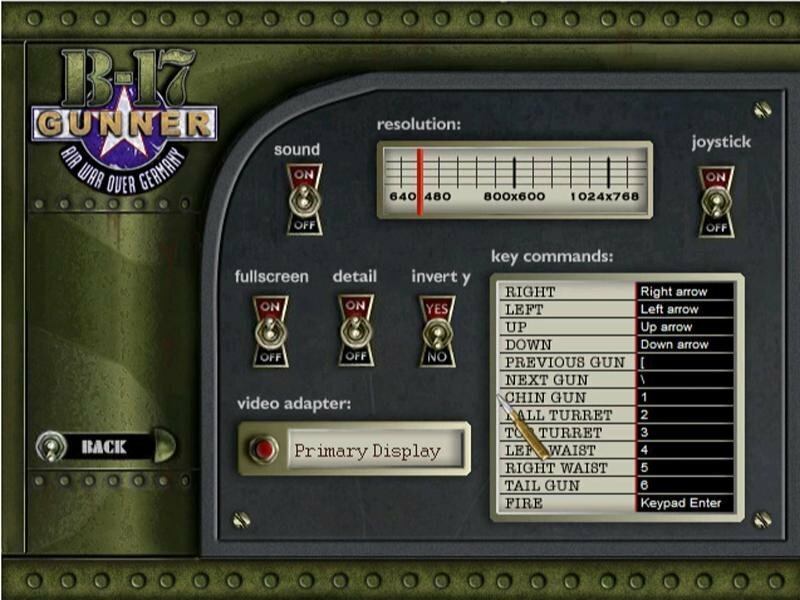 After the bombing run is complete, the plane will return home and as the gunner, you will have to down a few more aircraft that come to harass your squadron. Unfortunately, the fun wears a little thin, especially within the first five missions, simply because very little changes beyond the formula I described above. You never fly in any night or dusk missions. Moreover, none of them are in inclement weather. The enemy planes are too predictable as well. They almost always use the same approach vectors. That is, the planes dive down from about 45 degrees above the top turret. It seems that no Germans ever think of shooting from below or at any other angle. This makes turrets, like the rear or the bottom turret, completely useless and most of the time you will just man the top turret. 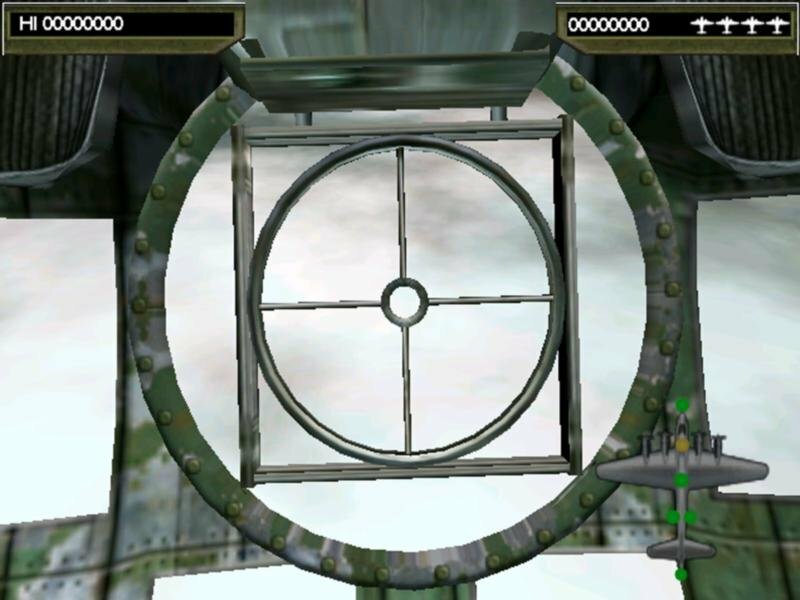 The game also progresses very slowly, such that the first few missions are so easy that you could gun down an entire fighter squadron within 15 seconds. And the difficulty only increases noticeably after another ten missions in which by that time, you are half way through the game. 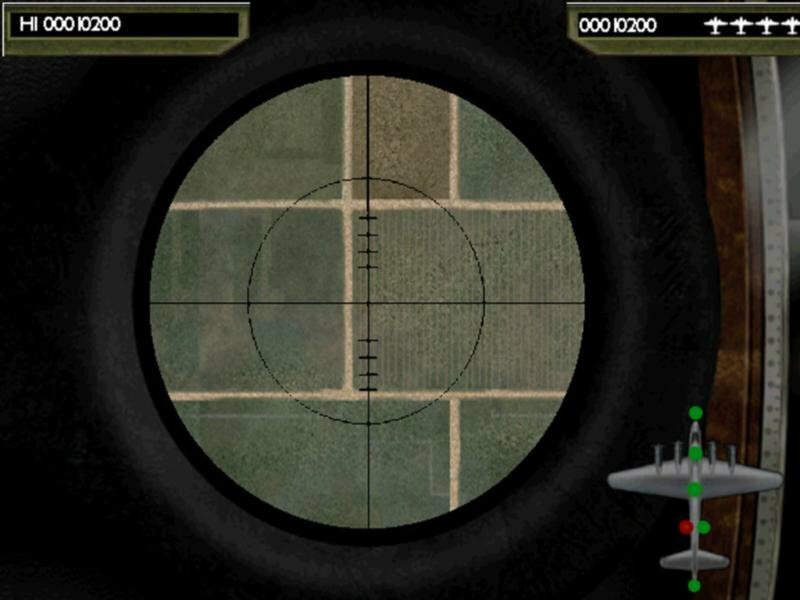 By the last few missions, the enemy planes give you a run for your money. The initiate to this title will think that perhaps the four bombers that accompany your squadron will help. 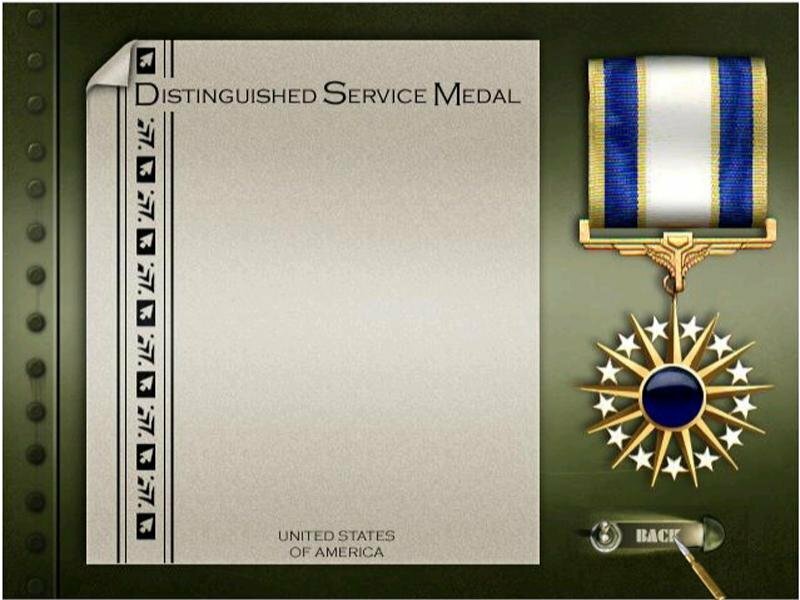 Sadly, they only serve as cannon fodder and if you miss your bombing run, they are unable to help you out. The bombing itself is flawed as well. WWII was known for its ferocity on the civilian population, primarily through carpet bombing. 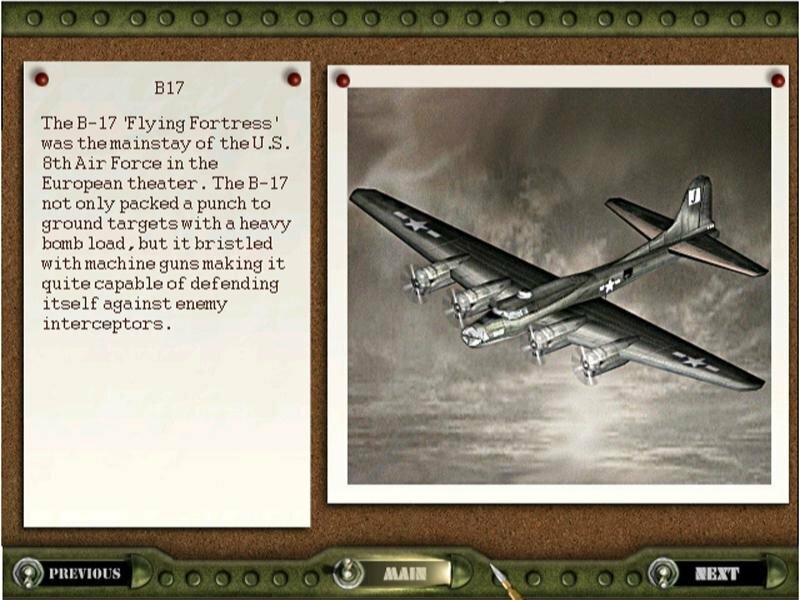 Your B-17 is either woefully under-equipped or your crew have a great sense of moral ethics. Not only do you bomb a very narrow strip of land, you can only bomb once. Moreover, your pilot cannot be ordered to make another run if the initial bombing attempt is unsuccessful. Even if your bomb does land on the target, instead of the colossal damage or fireworks you see in war documentaries, the bombs you carry seem to do damage equivalent to a giant smoke grenade. Luckily, the bombing segment is only one small component of the whole game. 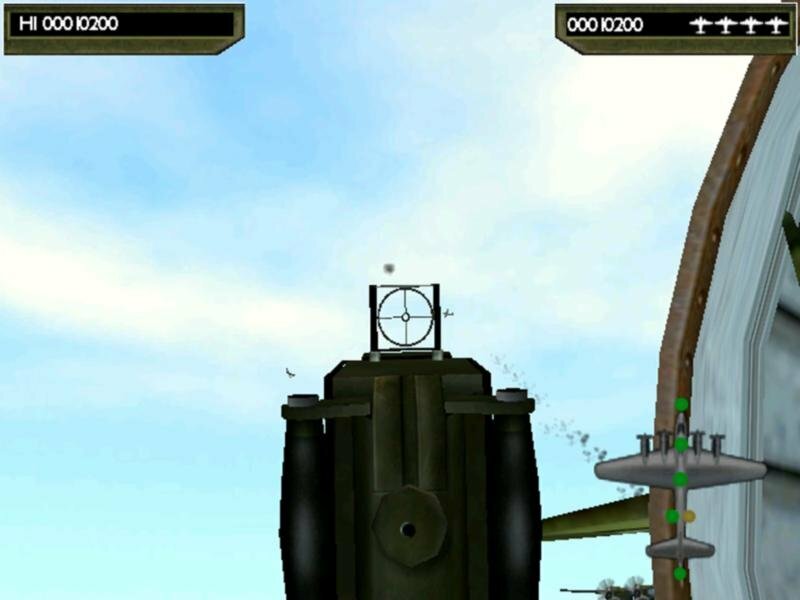 Much of the time, you will be gunning down various Luftwaffe planes. 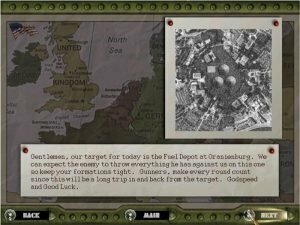 As the campaign moves on, the Luftwaffe actually get stronger in this title and end up throwing more opposition your way. Not only are they more numerous, they begin to wield jet engine aircraft in massive numbers. 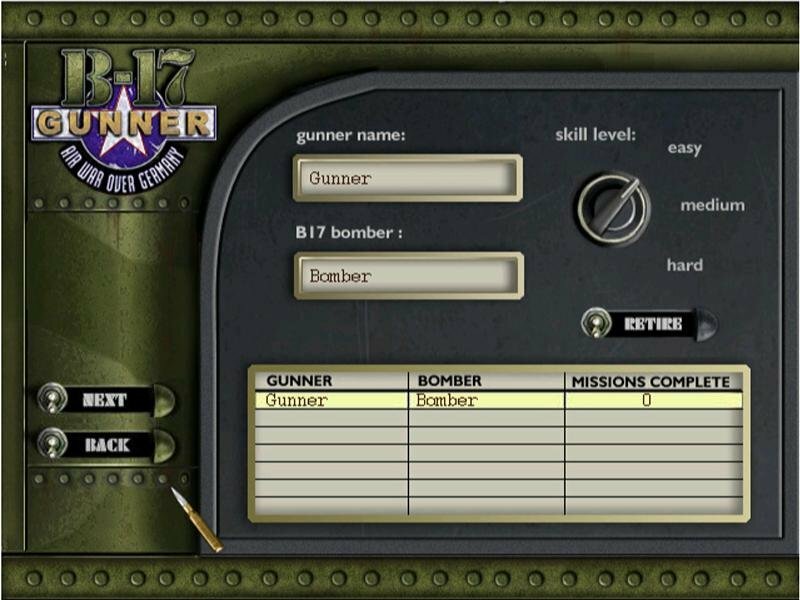 So in the end, what is B-17 Gunner? You could call it a simulation all you want, but it’s more of a glorified rail shooter. It’s simplistic and not all that fun. Players who are looking for a smarter challenge and more intense WWII bomber-to-fighter combat are better off re-installing European Air War.